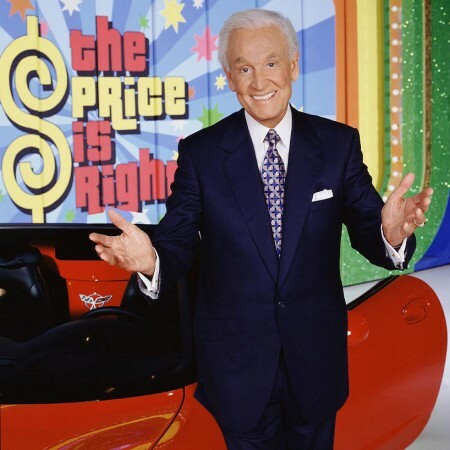 Who knew Bob Barker was such a Badass? The Bob you thought you knew. 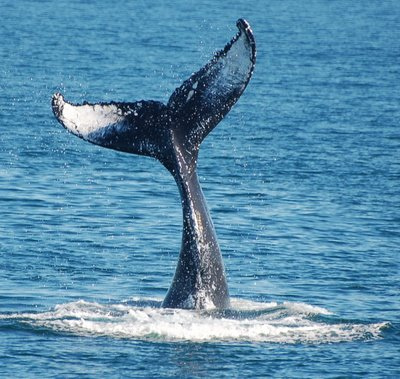 This week, the International Whaling Commission is meeting in Agadir, Morocco to consider whether to allow commercial whale hunting for the first time in 26 years. It’s a last-ditch, convoluted compromise attempt to convince Japan to end its annual slaughter of hundreds of sea mammals in the Southern Ocean Whale Sanctuary of the Antarctic – and environmental groups and whale warriors are lining up on both sides of the issue. 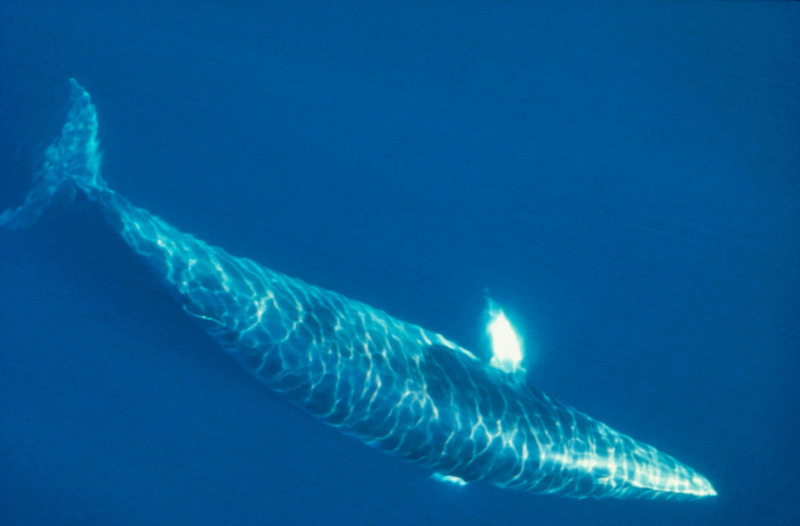 Minke Whale, Japan's favorite target. Photo by Morten Lindhard, WWF. 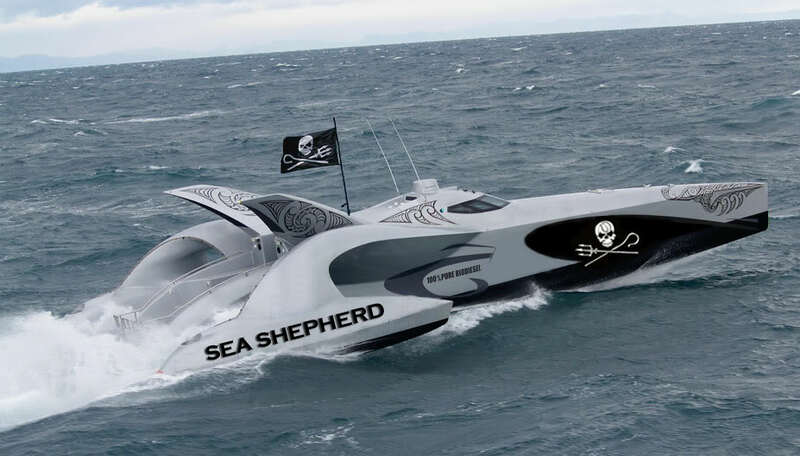 Sea Shepherd— known by some as environmental terrorists and by others as divine interventionists (including Bob Barker, who’s donated so much money to the group it named one of its skull-adorned black boats after him)– is violently opposed to any compromise. 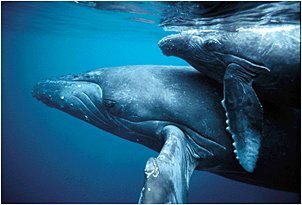 Its vessels have interrupted Japanese whaling boats in the Southern Ocean with great vigor and aggression – ramming the whalers, boarding the vessels and getting its own TV show, Whale Wars, on Animal Planet. SS’s position is that no whaling should be allowed, period, and it puts its sabotage where its convictions are. Thar she blows - Sea Shepherd boat sponsored by Badass Bob Barker. 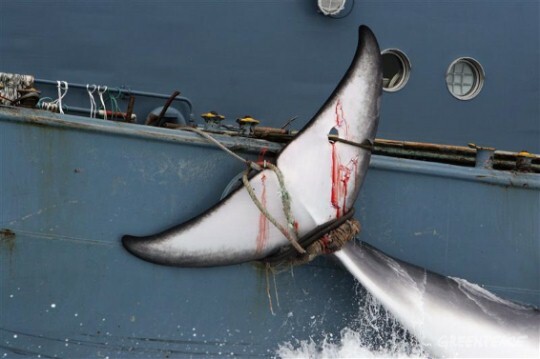 Other groups of environmentalists with longstanding anti-whaling policies – like the World Wildlife Fund, Greenpeace, and the Pew Environmental Group—are equally adamant about preserving the 1986 ban on whaling, with WWF calling it “one of the single most effective conservation achievements of the century.” But these groups have said they would consider allowing limited commercial hunts for Japan, Iceland & Norway –as long as these countries abide by a set of provisions keeping them out of the southern sanctuary– and five other whale safeguards. Why allow hunting at all? Because it’s basically the only way (short of employing Sea Shepherd tactics) to get the rogue nations to stop doing what they’ve been “allowed” to do. When the ban was instituted in 1986, Japan, Norway and Iceland were given “scientific exemptions” to continue hunting whales. These exemptions are completely outside the control of the International Whaling Commission, the world’s sole whaling regulator, and Japan has taken that harpoon and run with it. It is the only country whaling in the southern sanctuary, the only country whaling far off its own coast, and the only country brazen enough to claim that it’s still killing whales “because we need to collect more data.” Data that routinely ends up in Japanese markets as meat. Greenpeace photo of whale secured by the Japanese whaling fleet in the southern sanctuary. The position of the WWF and others is that by allowing Japan, Norway & Iceland a 10-year provision to commercially hunt a specific quota of local whales only for domestic use, the countries will agree to protect threatened and endangered species, abandon the “scientific exemption” clause, and stop all hunting for whales in the Antarctic, the critical feeding and mating ground for whales that was declared a protected sanctuary in 1994. And this “allowance” will give Japan a face-saving way to get out of its sumo show-down with Sea Shepherd. Mother & child reunion in the southern sanctuary. Much as I admire the invincible idealism and beautiful badass rage of Sea Shepherd–and I’m grateful for anything that stops the slaughter –I’m rooting for (and donating to) World Wildlife Fund on this one. Since 1961, WWF has shown tremendous commitment to conservation internationally, for so many different species and on so many different fronts, and tirelessly advocated for thoughtful policies. Personally, I love taking defiant, unyielding positions, but my grown-up self tells me the pragmatic truth is that you sometimes have to give a little to win a lot. And our glorious, vulnerable whales deserve a LOT. Click here to donate! Your picture of the whale tail is not of a minke whale tail. It is a humpback tail. Please check your facts!! okay, thanks for the correction, and for being such a whale of an expert! Well, technically from what I understand (and I could be wrong), Japan IS allowed in under the stupid scientific exemption. The whole idea of allowing limited LOCAL commercial quotas is to close this “research” loophole once and for all – and to end Japan’s access to the southern sanctuary. Which would be great!! Btw, I don’t think of Sea Shepherd as “terrorists” — nor as divine interventionists — I just was describing the broad spectrum of opinion. It’s such a heated issue -hope something good for the whales comes of all of this!! We are monthly supporters of WWF and strongly agree with their policies. There are ways to protect species (including the human one) but all or nothing reasoning will never win for either side. This agreement will, at the least, give them sanctuary. Thank you for showing both sides of the argument. jan.
WWF and Greenpeace have caved in to the demands of the whalers. Shame on both of them. They will never get a dime from me again. I think that they might say they are trying to find a way to permanently protect the sanctuary – but I really admire your passion for the whales! They have fundraised hundreds of millions of dollars from the public under the pretense of saving the lives of whales and dolphins, and now they are caving into to the wishes of the poachers. They owe every cent they’ve made back to their donors. Support NGOs who are honest and refuse to compromise like Sea Shepherd.